Tinting gives color to the hairs of the brow. Adding color highlights the less-visible parts, to give an altogether thicker and fuller look to the entire brow. 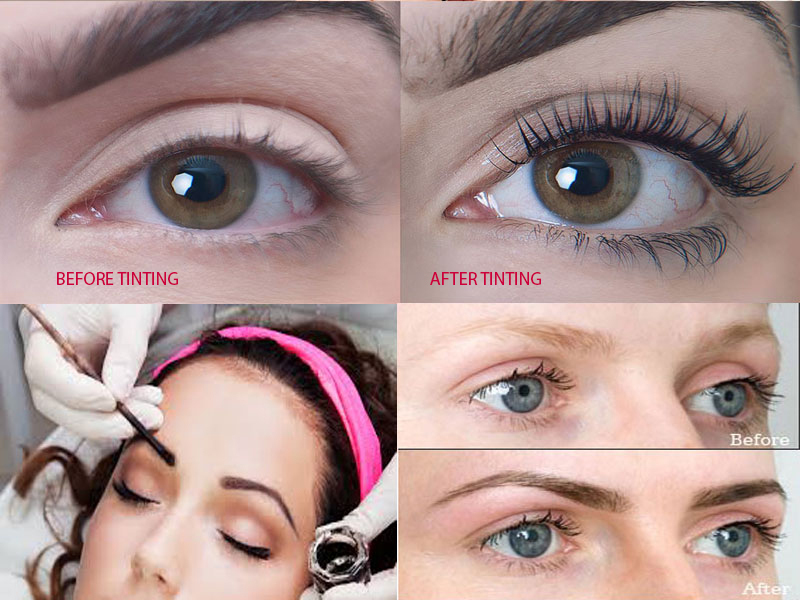 Tint color gives a Natural look to your Brows and lasts upto one month. All Eyebrow & Eyelash Tinting work is 25 minutes Walk-in Service. .
Three colors light brown, natural brown and dark brown. All Natural unique Eyebrow color tints the hairs for approximately five weeks and provides a tattoo effect for two weeks. The total natural henna process takes up to 25 minutes. It’s a ammonia free, hydrogen peroxide free, cruelty free vegan product. Contains hydrolysis proteins, vitamin complex and antioxidants. The innovation formula strengthens and restores brow hair growth.